DAVID LE/Staff photo. 5/7/15. 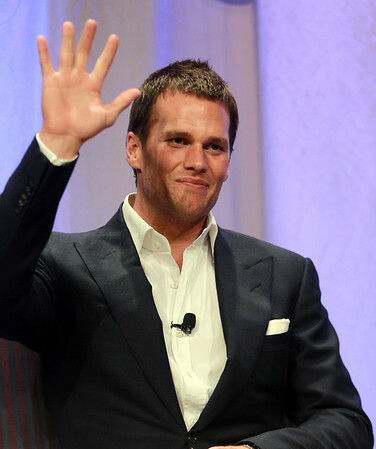 New England Patriots quarterback Tom Brady waves to cheering fans at the start of the Salem State Speaker Series on Thursday evening at the O'Keefe Center at Salem State University.